The parliamentary group of the Socialist Party (SP) has voted today on the expulsion of Kurbin's deputy, Gjetan Gjetani. 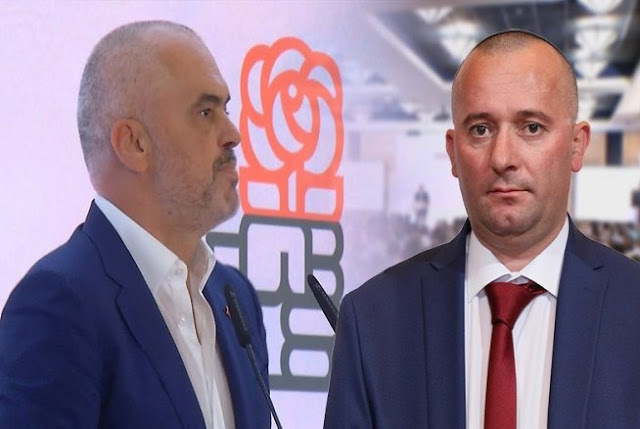 Just three days ago, Prime Minister Edi Rama, at the same time head of the Socialists Party, asked the SP Assembly to dismiss Gjetani from the group after having abused his duty by blackmailing the State Police. Gjetan Gjetani through a status on 'Facebook' criticized openly the State Police relating to the two murders in Mamurras. After Rama's statement, Gjetani reacted considering his excommunication as a wrong decision. The deputy called the Prime an arrogant, adding that this arrogance can be found also in those who believe in him in Kurbin. "Edi Rama's decision to expulse me from the Parliamentary Group is an unfair decision. Edi Rama has not transformed me in a socialsit, and there is no way he can through me away. Socialist I have been a socialist in the difficult days of the PS with my family and close friends, and not today in power when tenders and privileges are shared. Edi Rama did not offered any solution to Kurbin today. By attacking me publicly, he did not even add investments, nor new jobs in Kurbin. Rather, he added only another dose of his arrogance, his arrogance and his belief in Kurbin, and this is not just what the people expect most, but the very problem that produces even more gaps between the government and people. No matter how the interests of Rama and his friends, I will continue to be close to the citizens. I had never power, but I was true with people. And I will continue to raise my voice, for all the concerns and problems that the citizens of Kurbin have," wrote on 'Facebook' Gjetan.